ITBP Recruitment 2017 - Latest job notification for 21 Sub Inspector Vacancies in New Delhi on Temporary Basis. Applications are invited by Indo Tibetan Border Police on or before 22 Sep 2017 for 21 vacancies. ITBP SI (Overseer) 2017 Answer Key 2019: Indo Tibetan Border Police has issued the Answer Key on 19 Jan 2019 for ITBP SI (Overseer) 2017 Exam which was conducted on 13 Jan 2019. Answer Key can be accessed from the link given below. Medical Re-Examination Fee of ₹25 in form of Indian Postal Order and Rejection Slip (original) issued by the Presiding Officer. RME fee in the form of IPO only should be prepared in the name of INSPECTOR GENERAL (NE) Frontier, ITB Police Force. Matriculation or equivalent with a diploma In Civil Engineering from an institution/ Organization. ₹35400 - ₹112400 as per 7th CPC + Other allowances. Reservation : 10% of the vacancies are reserved for Ex-Servicemen. 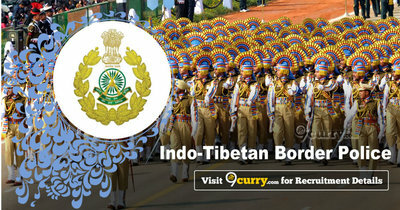 Eligible candidates may apply online at Indo-Tibetan Border Police Force website (http://itbpolice.nic.in/itbpwebsite/index.html) from August 12, 2017 to September 22, 2017.